Yesterday morning, I woke up at 6:15 am without my alarm! My alarm was set for 7 am, but my body must have had enough sleep. I had breakfast plans with my friend Jess, but also had a six miler planned before, so I knew I needed to eat something somewhat substantial to power me through my run and the wait for breakfast. 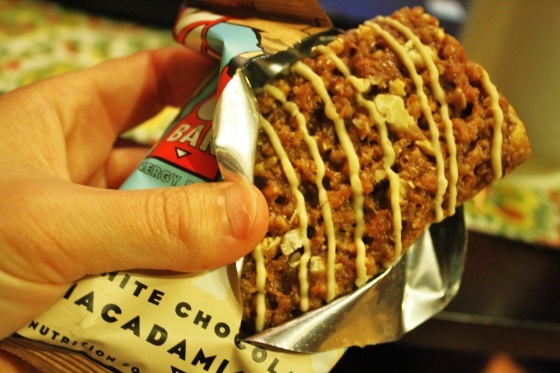 I chose a Clif bar in the White Chocolate Macadamia Nut flavor. 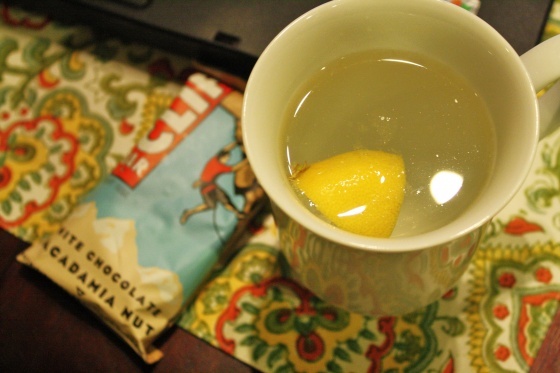 I love the soft texture of all the Clif bars and liked this flavor as well, but honestly it was just a bit too sweet for me. However, it did a great job giving me enough energy for my six miles. I ran the six miles in 57:29 then walked an additional mile to the grocery store and back to the condo. My stomach was very grumbly in that “Feed me Seymour!” kind of way. 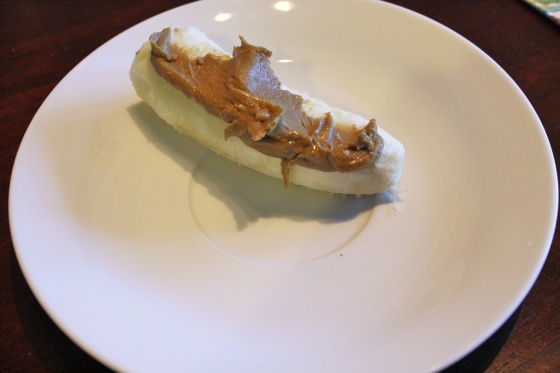 So I had half a banana and some sunflower butter to tide me over. Plus several grapes I randomly stuck in my mouth while prepping breakfast. I decided at the last minute that I really should shower for my guest, so I jumped in and was out and dressed in 10 minutes, just in time for Jess to arrive. I received an email from Jess a few weeks ago that simply said, “This looks like something you would like,” with a link to the website. The link took me to a jam company called We Love Jam. Well I do love jam, we I emailed the company and asked for a sample. 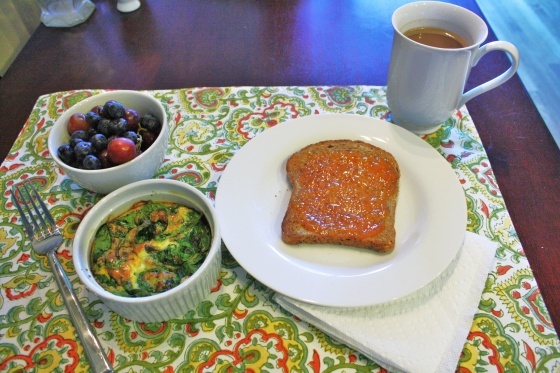 I also made an egg bake and a fruit bowl to go with our toast and jam. 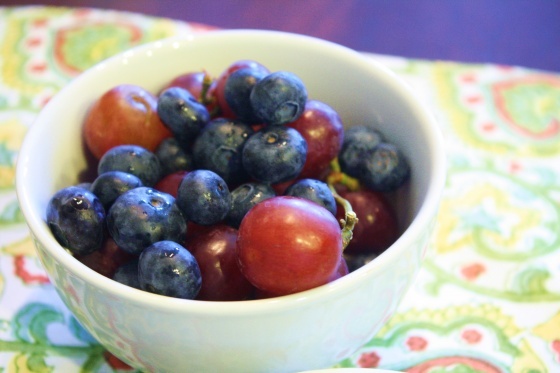 Jessica brought over the blueberries and I mixed them with red grapes. 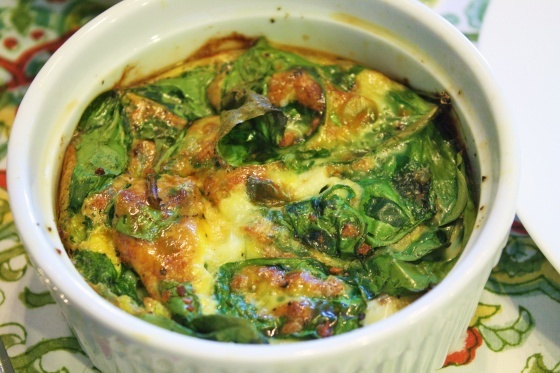 The main course was spinach egg bakes. 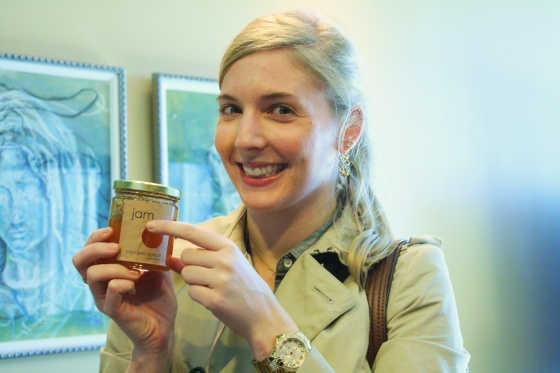 I thought that the apricot jam was delicious and Jessica thought so too! Although, I don’t think I’ve ever met a jam that I didn’t like, except maybe green pepper jelly. Ew. The apricot flavor was very distinct and of course the jam was sweet, but not overly so. 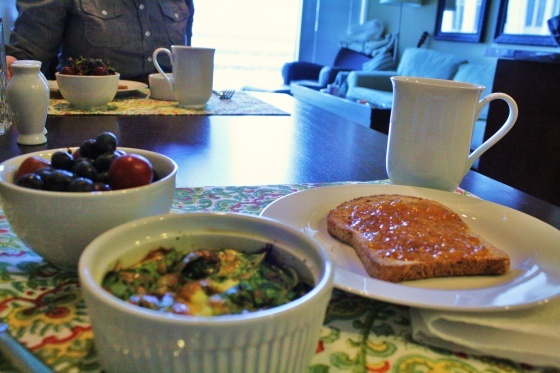 What impressed me about We Love Jam is that they source all of their fruit from local farms. 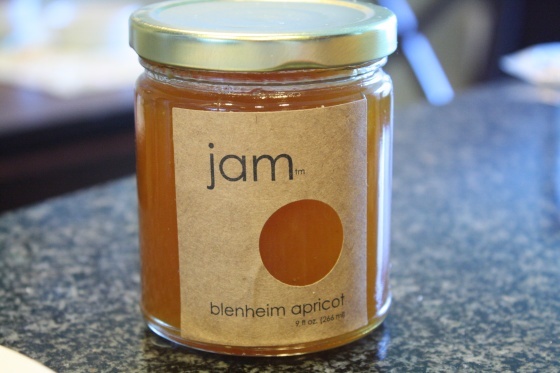 They don’t put pectin in their jams, which they claim masks the flavors of the fruit. 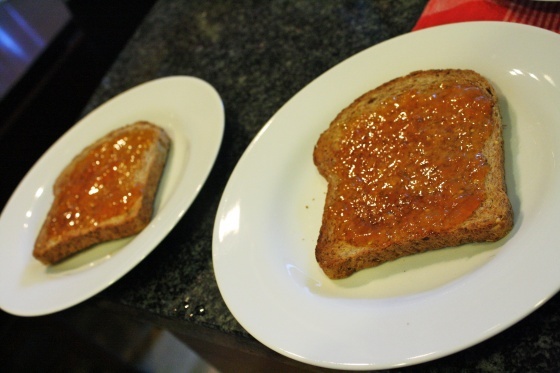 This results in a jam with thinner consistency, which I thought was easier for spreading on toast. Each small batch of jam is handmade and We Love Jam says they take a “fine cuisine” approach to their jams and really do their homework to make the best product possible. 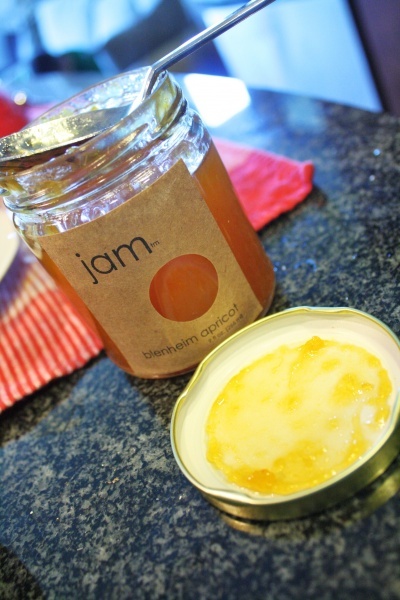 We Love Jam’s jams are available at Williams Sonoma and several other stores on the west coast and in the mid west. You can also buy their jams here on their website.